On September the 8th and the 9th , 2018, the capital will celebrate its birthday! 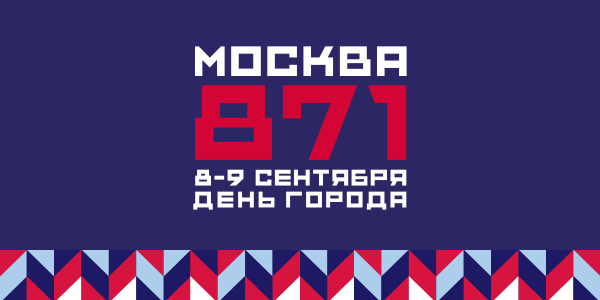 All citizens and guests of the city will enjoy a saturated program of the festiival “Good Moscow 871”! Almost 90 museums will work for free, you can visit numerous excursions that will allow you to look at Moscow with new eyes, participate in festive performances, competitions and quests at various sites and parks, see interesting performances of the capital’s theaters! The holiday is a great occasion to meet friends or family feast, celebrate the day of the city in one of the restaurants, cafes and bars, taste the new chefs, specially created for this event!